This is one of my favorite engagement sessions! I just loved capturing the energy between these two and I loved the location. Who doesn't want an excuse to hang out on South Congress? Also, this session seems to represent Austin in such a great way! I finally blogged this session as I was reminiscing on the Fall. 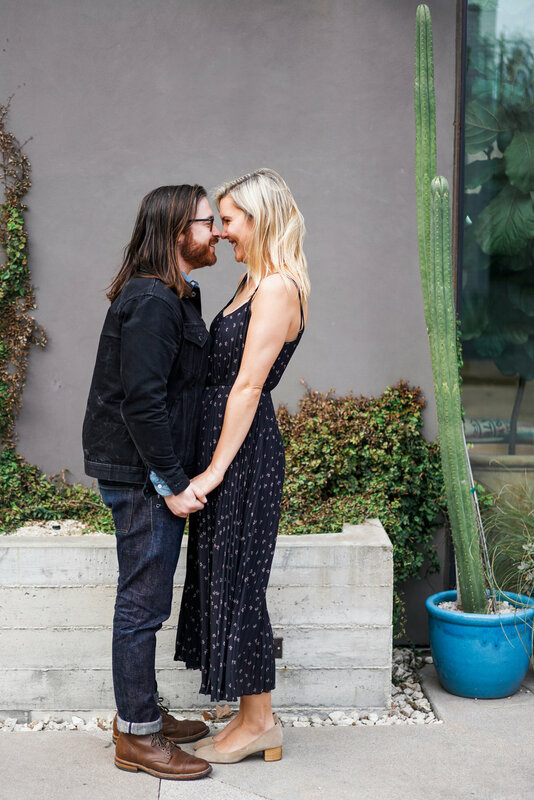 I can't wait for next season, not just because of the cooler weather and ability to wear jean jackets again, but because I cannot wait to shoot this sweet couple's wedding at the South Congress Hotel! Congrats to Jennifer & Joshua who were my engagement session giveaway winners!